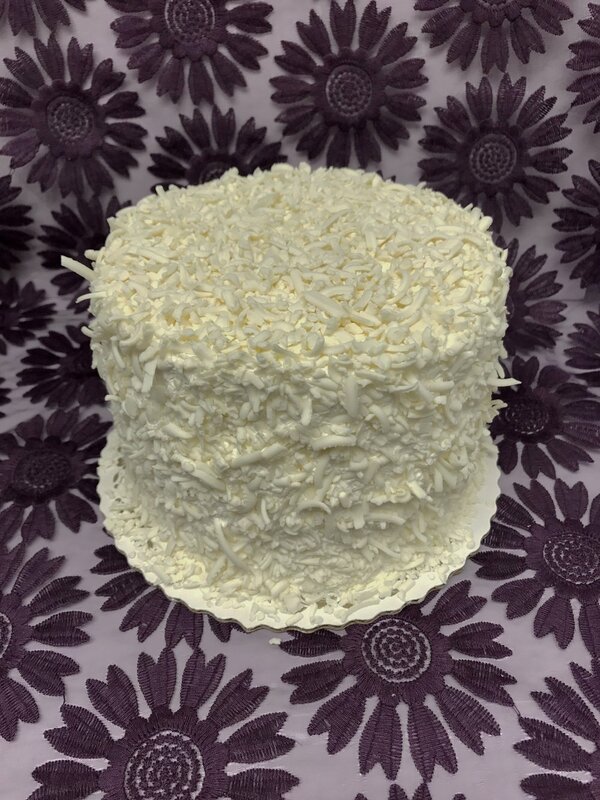 Combining a light whipped frosting with white chocolate shavings gives our cakes an original textured look while creating the perfect balance of light and sweet. We are not able to add an inscription to our Signature frosting. A buttercream rose bouquet may be added to the top for a small charge. Some 3D decorations can be added. The art charges for 3D decorations will vary. All of our decorating begins by making every batch of buttercream in house. Are you are looking for a "simple" smooth finish or a rustic textured design or a fun 3D creation? Our designers are ready to work with you to create your vision. Browse our All Occasion gallery for ideas or email a photo to us. Although recreating a fondant decorated cake may not be entirely possible, we will do our best to make you an amazing buttercream decorated cake that can come quite close. A buttercream top with our Signature frosting sides allows for decorations on top. Choose from simple decorations, such as an inscription with buttercream balloons, buttercream roses or sprinkles, or custom artwork. This option will satisfy those with a sweet tooth, as well as those that prefer a lighter choice. Choose the Frame In option when you are looking for as much Signature frosting as possible but still want a message on top. Additional decorations can be added, but remember, space is limited. Frame in available on 8" cake size and larger.